Christmas is celebrated to commemorate the birth of Jesus Christ, though the exact date of birth is still unknown. It is worldwide celebrated not just by Christians but by an ever increasing population of non-Christians as well. Though the manner in which it is celebrated across the world varies as per various traditions and culture. The beauty of living in any secular country lies in enjoying all festivals alike. India is a great example to all non-secular countries that loving and respecting all religions bring inner peace and show the path of righteousness and happiness. With the advent of this day, the mind, body and soul becomes excited as to how to make the most of such a holy day. People sing carols in the streets and the atmosphere becomes jammed with the sweet sound of jingle bells. Many people dress up as the happy and merry Santa Claus and offer gifts to all ages. Thus this day holds its importance in giving and receiving presents. The advancement and modernization of the present busy world leaves us a little spare time to wash our body and time in the wave of such merriness. The daily lives, under the work pressure finds a little time to be with and spend quality time with the near and dear ones, leave apart a night long celebration. It also becomes difficult for one to prepare a gift list and to hop around shops and markets to find suitable gifts for their loved ones. Thus to eradicate such problem has evolved the concept of online shopping which has created a revolution around the entire world after its emergence. The usual celebration includes church service, gift giving, family and other social gatherings, symbolic decorating, and secular processions or parades featuring Jesus Christ. According to a popular tradition, people wear red clothes and pose as Santa Claus to distribute sweets, gifts and shower blessings, especially to children. People light up their homes with fancy lights and decorate the Christmas tree with the help of small bulbs and ornaments. The adoption of putting up Christmas tree is very popular and widespread across the world. What is worth noticing here is that many people do not do many of the stuff which may be called a traditional way of celebrating Christmas but they all become part of the joy spread across in the festival season. Many have taken this as another reason to celebrate the life and to get together with their families and friend to celebrate in full spirit. They like to exchange gifts, love and joy. Many online stores are also selling branded as well as attractive gift items. You can also buy any gift for your family, relatives and friends on this festival through online stores. Many unique gift items like Chocolate Hampers, Handicraft Items, Flowers, Books, Pen Sets are available at low prices. 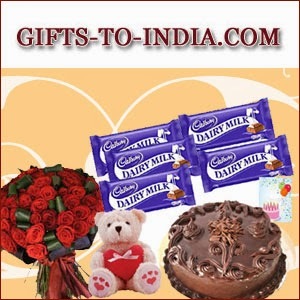 Send Christmas Gifts to India Same Day as the symbol of your love. 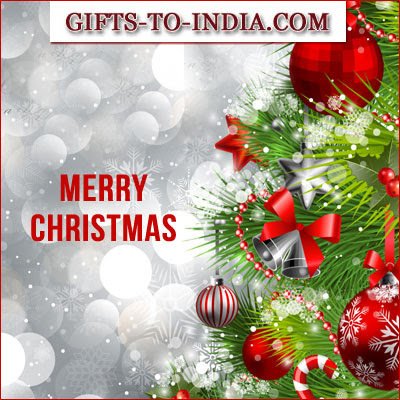 You can also send Gifts for Christmas to India for your dear ones and make their faces glow in happiness. Send Christmas Champagne to India for your dear ones as a token of remembrance and how much you love them. Christmas Eve is the occasion of celebrating Jesus birthday all around the world. It is the time of enjoying holiday season with lots of happiness and spirit. Christmas is celebrated in different ways everywhere in the world, varying country and region. Every county and caste has different rituals of celebrating Christmas festival. There are many elements common to many areas people considered while celebrating this Eve. Decorating Christmas trees, beautifying house with sparkling lights, hanging of wreaths, celebrating Jesus Christ birthday and singing of carols are some of the common activities of people enjoyed on Christmas. Apart from all such common task, people also celebrate their Christmas by wishing each other for the happy time. Sending and receiving gifts, wishing friends through phones, exchange of Christmas time greetings and cards are some most important parts of making any celebrations. 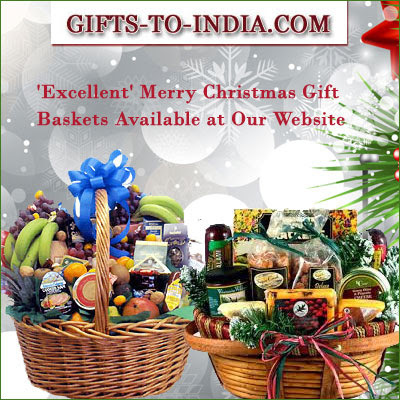 Order Express delivery of Christmas Gifts to India for your dear ones and incorporate happiness into their lives.